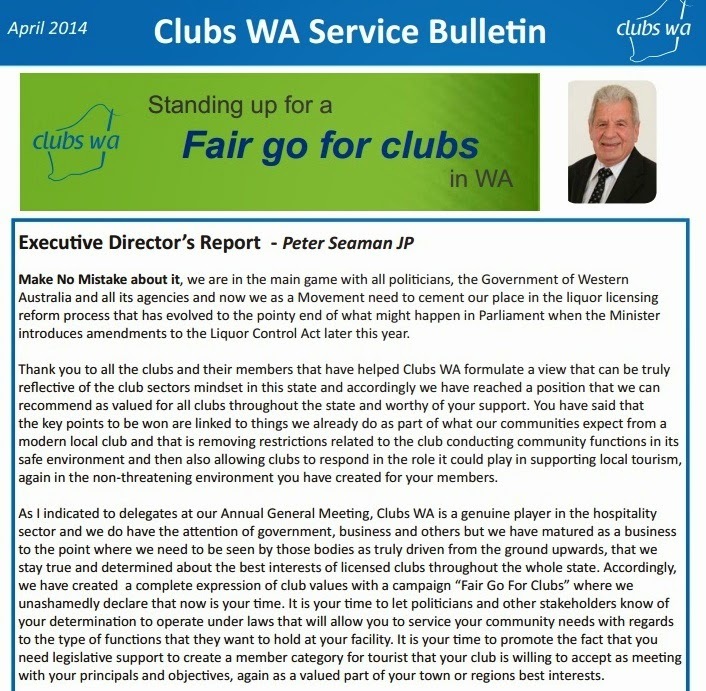 ClubsWA latest bulletin highlights the strong need to respond to the Liquor Licensing review in Western Australia. The current limitations of Liquor licensing effect not only the 980 licensed clubs in Western Australia but by extension all established community assets in Western Australia. Great article about Western Australia responsible service of alcohol, thanks for posting! The laws for liquor always exist but are they really being followed by any clubs or any person individually that too are not being followed by any person till date. So are these laws made really going to effect? Responsible Service of Alcohol (RSA) competency Card if you want to work in any establishment that serves alcohol in NSW, the law requires. Hospitality Alliance Training is an ASQA approved Registered Training Organisation (RTO) and has been since 1998. We currently provide training online throughout Australia in the fields of food safety, the responsible service of alcohol, the responsible provision of gaming services, and venue management. Visit hospitalityalliancetraining.edu.au for more information. (C) Hospitality Alliance Training, 2013. All rights reserved. Simple theme. Powered by Blogger.